At Analytica International Trade Fair and Conference, Huber will be showcasing its new solutions and further developments in temperature control for the research laboratory and process industries. Visitors can expect a cross-section of Huber’s product range at its 140m² booth, including Unistats, Unichillers and classic bath thermostats. 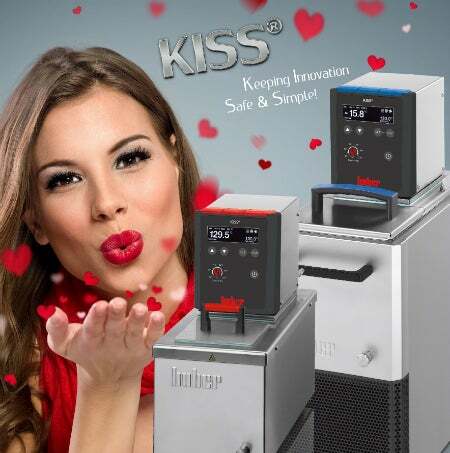 Heating and cooling circulators and recirculating coolers with new KISS controllers will be a focus of the company’s presentation. The new controller comes with USB and RS232 connections, which simplifies laboratory work. The brilliant OLED display has been made larger, brighter, and more informative. The self-explanatory menu makes operations even easier and more intuitive and there is an option for external working temperatures to be displayed. All models are available in three colour variations. There will also be other products on display, including Unistats with high-pressure pumps, quick disconnects, an expanded Minichiller range, the E-grade Explore, and new Unichillers. The Huber Kältemaschinenbau booth is located in hall B2, stand 309.